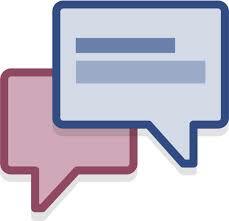 How to respond to someone’s comment’s on Facebook… Must READ! Home » Music » How to respond to someone’s comment’s on Facebook… Must READ! How would you respond to a statement like that? Some people posted back in agreement, and the poster had a lot of likes. But one of the poster’s 375 “friends” had just made a New Year’s Resolution to go back to the gym. She really wanted to keep it, and was a kind of “up” and bubbly person, so that comment really got to her. This girl (we’ll call her Jena) simply posted back “Ew”. What she didn’t realise was Jena’s dad had serious surgery the year before, and they were moving so he could live in a house that didn’t have as many stairs. Switching schools was causing the whole family a tremendous stress. The point is, this Facebook war mushroomed into something that involved three days of posts, over 160 people from 5 different communities and 3 different schools. Some would argue it all started with just TWO LITTLE LETTERS: E-W. Ew. With that story in mind, here’s four principles to help us be godly Facebookers. You can’t say, and you can’t post, what you’re not thinking about. So before your write something on Facebook, imagine how others might respond to what are you saying. How do think they will feel? Good? Or Bad? If you think there’s a chance they will take it negatively, maybe you shouldn’t post it. Posting and texting is just like any other area of life. In Matthew 7:12 Jesus states clearly, “So in everything, do to others what you would have them do to you, for this sums up the Law and the Prophets.” This ‘Golden Rule’ sums up almost every other command in the Bible. This principle is like a subcategory of the first. If you say something negative about a person, it often gets back to the source. If you post something negative in public about another person, that’s worse. If you try to encrypt it so that only a few people know what you’re talking about, it will be sniffed out by the source — and probably 20 other people who are so deeply insecure that they think everyone is referring to them. If you have something you need to say to someone, then go and talk to them face-to-face. And do it with grace and love. What if someone says something negative about you? Not returning evil for evil is really hard, and yet it is where the rubber meets the road in relying on Christ. You’re going to need practice and patience. It’s very hard to return a mean comment with a nice one because we feel like we are giving that mean person even more power. But the opposite is true. That doesn’t mean the guilt will show up in people right away. Generally, they will look confused or stunned. But often they’ll go away and think about it. Conversely, if you say something mean back, you are throwing fire at fire. What happens to the fire when you add fire to it? It grows and grows. Will fire ever put out a fire? In the end, as Christians, we want to follow the lead of Jesus, who said in Matthew 5:44, “love your enemies and pray for those who persecute you.” Are you ready to do that on Facebook today?on the outside, you will make them burn with regret over what they just said. It’s such a well-known tactic that it has a name: It’s called “killing people with kindness”.